Unfortunately, Matt is facing prosecution by law enforcement because of his work as a healthcare lawyer representing doctors who are accused of fraud. Their assets have been frozen. He has worked defending doctors from such claims for twenty five years. He is innocent and his attorneys are telling him to fight. But the family—his wife and children—need your support. Tracy has been battling cancer (Non-Hodgkin’s Lymphoma) for the last 10 years and just finished her most recent round of chemo. Matt will have difficulty providing for them while defending against this prosecution which may last more than a year and they really need our help. You may know them from Church (Matt is a Deacon candidate). You may know them from the school. 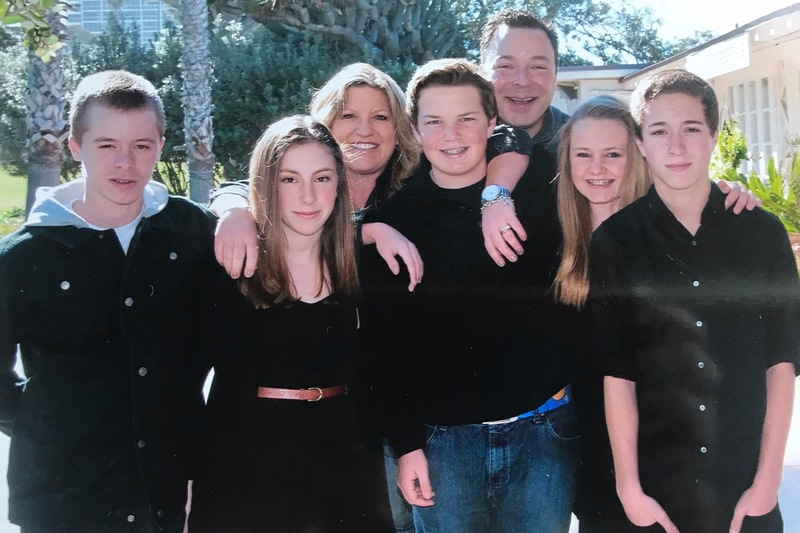 Their five children attended St Vincent’s, Tracy continues to volunteer and Matt teaches eighth graders law and public policy (and graduated from St Vincent in 1983). Their 5 children are all in college, with two living at home. The Rifat family needs your help and support. Please pray for them. And, if you can, help Tracy and the children financially any way that you can afford. Tracy will use the funds to help with living expenses and tuition. God tests those whom he loves. Let us buoy them with our faithful support. The Rifat family has always been there for their friends and family with loving hearts and support. Let us as a community give back to a very special family. If you could support my fundraiser by making a donation and then sharing with your network, I would greatly appreciate it. I know money can me tight, so please know that any donation will help the Rifat family through their most difficult time of their lives. More than anything else, please hold the Rifat family in your prayers as we all trust in God to use their suffering for the benefit of all. Let me know if you have any questions and I’ll be happy to answer them.